The Small Cottage has downstairs an open-plan kitchen and living Area. The kitchen is well equipped with fridge, electric cooker, microwave. The living area has TV/DVD and a cosy open fire where you can relax after a busy day exploring the North Yorkshire Moors National Park. Upstairs there is a spacious bedroom with a superking bed which can be split into two single beds. A bathroom comprising of bath with shower over, toilet and hand basin. For large gatherings of 12 you can book all three properties at North Farm. The Farm House, Big Cottage and Small Cottage. 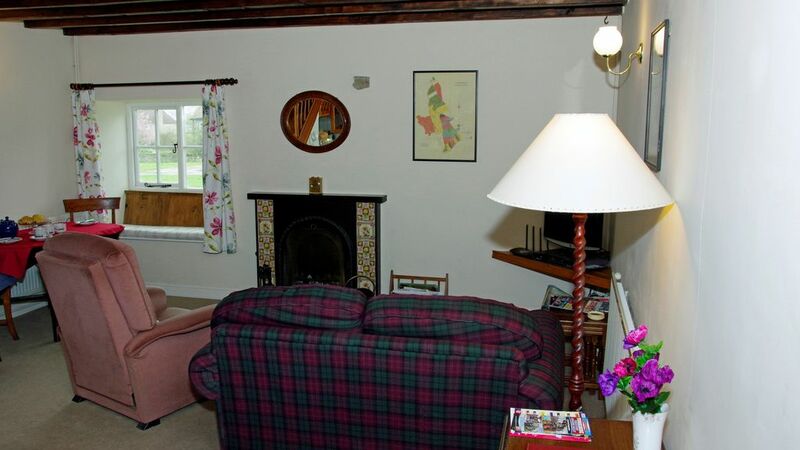 Well presented cottage in a lovely village setting. Ideally located to explore the Yorkshire Moors. The cottage has everything one needs for a comfortable stay. Comfortable living accommodation and bedroom together with a well equipped kitchen.